Wow! This year has really flown by (or maybe it's just me...)! Can you believe we have less than a month of school left (including YES Plan)? This has been a very busy year, but I have to say that I am extremely proud of all of our RHS Band Members for their hard work and dedication and I'm thankful that I get to work with such great people every day. Even though school is rapidly winding up for the year, we are entering one of the busiest times for the RHS Bands. Please take note of the many events listed below. 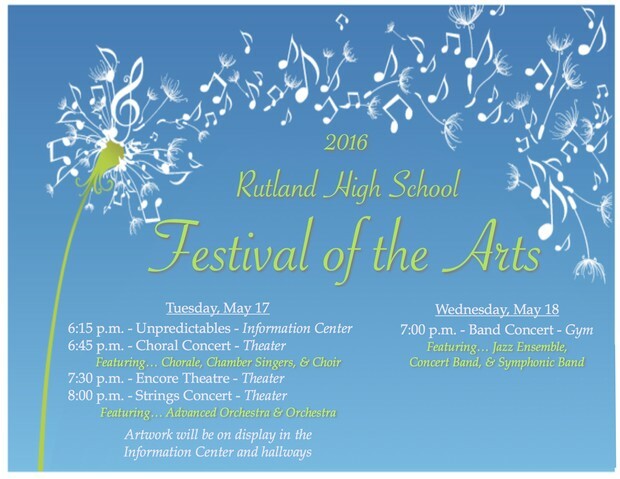 The 2016 RHS Festival of the Arts will take place May 17-18. Day one of the festival is on Tuesday, May 17 and features student art displays, Encore Theatre, the Choral Concert, and the Strings Concert. All of these events take place in the Information Center and Theater between 6:00 and 9:00 p.m. These day one events are not required for band members, but students are encouraged to come check out the artwork and performances to support their peers. 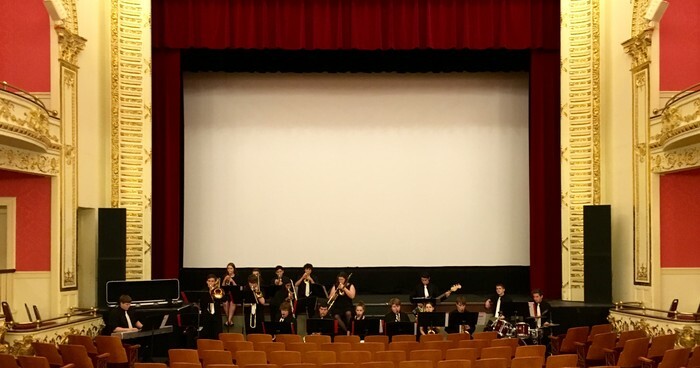 Day two of the festival on Wednesday, May 18 is the Spring Band Concert, featuring the members of the Jazz Ensemble, Concert Band, and Symphonic Band. We will also recognize our graduating seniors. 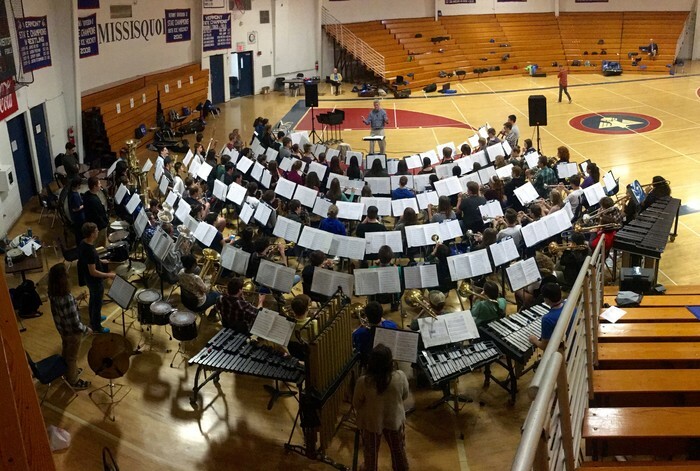 The concert begins at 7:00 p.m. in the RHS Gym and students must be in their seats by 6:45 p.m. (with instruments and in our usual concert dress). The Concert & Symphonic Bands will combine to play as part of the annual Rutland Memorial Day ceremony on Monday, May 30. Students should report to the West Street Cemetery (on West Street, across the railroad tracks from the Farmers Market) by 10:30 a.m. We will wear our usual concert dress. The ceremony begins at 11:00 a.m. and should last less than an hour. Students are encouraged to wear sunscreen (we'll be in full sun, assuming the weather cooperates). We are also looking for a bit of parent help for this event as we need to transport some equipment from the school to the cemetery and back. If you have a truck or a large van that can fit things like a xylophone, marimba, music stands, etc. and are willing to help out, please contact Mr. Barnett (brent.barnett@rcpsvt.org) as soon as possible. The Concert Band & Symphonic Band will combine to play for Rutland High School's Graduation on Thursday, June 9 at Spartan Arena. Students must arrive at the arena and be ready to play no later than 5:00 p.m. to allow for some rehearsal time as well as a sound check. PLEASE NOTE: Traffic is always quite heavy along Route 7 South heading toward the mall at this time - especially with the graduation traffic. Please allow extra time to get to the arena so we can start on time. Students should wear our usual concert dress. 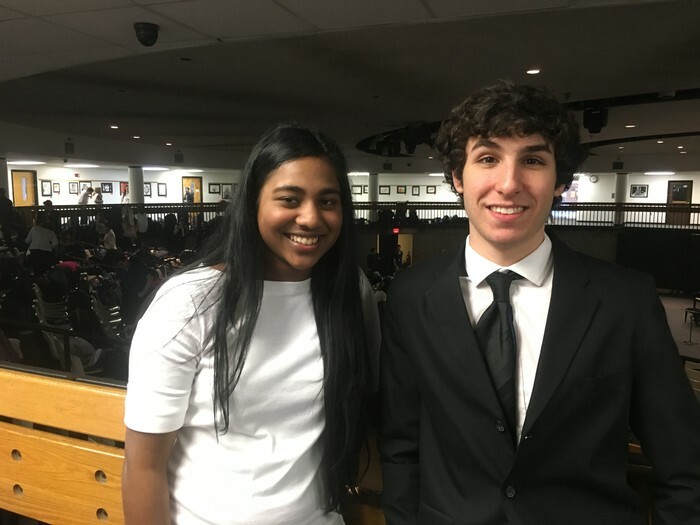 Congrats to Alisha and Jonathan! Congratulations to Alisha and Jonathan for a great performance as part of the 2016 Vermont All State Band May 5-7! The Jazz Ensemble's busy year continues during YES Plan. Below is a summary of the events left this year, in addition to the Spring Band Concert on May 18. A YES Plan rehearsal/class schedule for the Jazz Ensemble can be found on the Jazz page of the RHS Band website. Friday, May 27: Clinic with Saxophonist/Jazz Director Brian McCarthy - This special clinic will take place during our class time. It's not too late for RHS Jazz Alumni to sign up to participate in our second annual Alumni Jazz Night! All former members of the RHS Jazz Ensemble are welcome to participate in this fun and informal event on Friday, June 3 in Rutland's Main Street Park. This year's event will be held in Main Street Park starting at 6:30 p.m. If the weather doesn't cooperate, we'll move indoors to the RHS Cafeteria. Any alumni wishing to participate should complete this form so we can plan for the appropriate number of people: http://goo.gl/forms/5TUcTB2NR4 Please help spread the word!